TruColor™ Direct Digital Print technology is a unique patent-pending digital print process that allows you to print your logo in vibrant color directly on to this item. There is no limitation with the logos, artwork or colors that can be printed with TruColor™. Impress your clients with how vibrant their print can be, whites are bright, yellows and reds will pop. TruColor™ technology has the capability to print standard one color or multi-color logos, photorealistic, multi-color logos with tight registration and logos with half tones or gradients. Listen to music on the go with this latest RoxBox™ Duet Bluetooth Speaker. 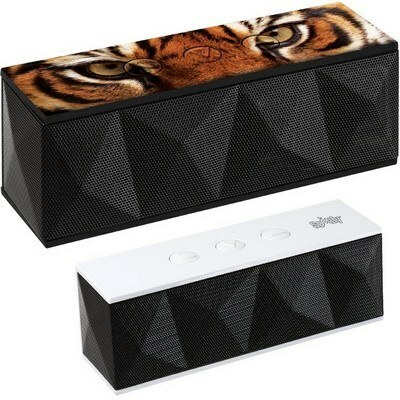 This speaker is easy to connect using A2DP Bluetooth V3.0 EDR and has an operating range of 10M/33 feet. Turn any mobile device into a portable sound system. It features a built-in subwoofer that provides exceptional quality sound and a built-in mic that allows you to use it as a hands free phone and is a perfect for conference calls. 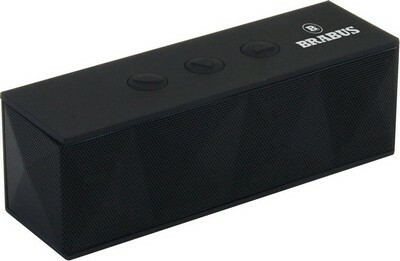 The speaker has three easy to use buttons on the top; phone button to take calls, volume up and volume down. The price includes a USB cable for recharging and a 3.5mm audio jack for non-Bluetooth devices. 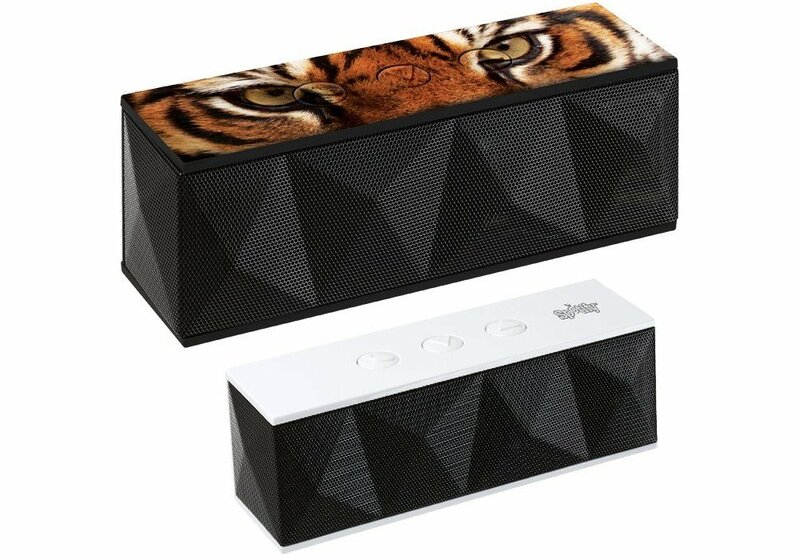 Customize this Bluetooth speaker with your company's logo to help promote your brand awareness.